myGengo: Towards a bi-level market? "taking tasks traditionally performed by an employee or contractor, and outsourcing them to a group of people or community, through an 'open call' to a large group of people (the crowd) asking for contributions." Until recently, translation crowdsourcing was organised on a voluntary, unpaid basis: NGOs appealing for help, for example. Now here comes myGengo, which aims to turn it commercial for the profit of translators and the benefit of consumers. "Join the revolution!" it proclaims. So let’s take a closer look before we‘re swept away. 1. All bilinguals are invited to join in, irrespective of prior qualifications. “If you're bilingual and you're online, you could qualify as a myGengo translator. It's free, simple and quick to take our tests.” Well yes, there’s a test. “Your test will be reviewed within 30 days by a Senior Translator who is native in the language.” 30 days? That’s something they need to improve. But myGengo isn’t without standards. (A) “Our Pro level for professional [and presumably Expert] translators” – a traditional category. (B) Standard level: “These jobs are translations of simple or non-critical texts, like blog posts, articles to read, simple menus and internal business documents.” Clearly this level is intended for Native Translators. 4. There’s another interesting wrinkle to the Standard level: “It's also great if you are training to be a translator.” This is a clear and open invitation to the hundreds of translation school students who would like nothing better than to find a work placement that pays while they study. Bear in mind that there are about 500 undergraduate and postgraduate translation programmes around the globe. 5. The rates of pay are likewise differentiated: Pro level US$ 0.08 per word, Standard level US$ 0.03 per word. myGengo loads a couple of cents per word on top of that in its prices to consumers, which is reasonable for what is, in effect, a commercial translation agency. The Pro rate of pay will attract professionals in some countries and under some circumstances; the Standard rate is in uncharted territory. A bi-level translation market – bi-level in respect of qualifications and of remuneration – isn't entirely novel. There's long been such a market in conference interpreting (CI). However, the lower level of the CI market was talked about disparagingly and in hushed voices as the so-called grey market – I'll write more about it in another post. This is the first time I've encountered an openly promoted and advertised bi-level market. It'll be very interesting to watch whether myGengo succeeds. Great news! At last a meeting about the topics dealt with on this blog. Presented by the Advanced School of Modern Languages for Interpreters and Translators (SSLMIT) and the Department of Interdisciplinary Studies in Translation, Languages and Cultures (SITLeC) of the University of Bologna at Forlì. Congratulations to Rachele Antonini of the University of Bologna for taking this iniative. I look forward to meeting as many of you at Forlì as possible. Footnote: If any of you practitioners are thinking of attending the 1st ProZ.com Europe International conference, notice that it starts in Rome on May 21, just after the above conference. 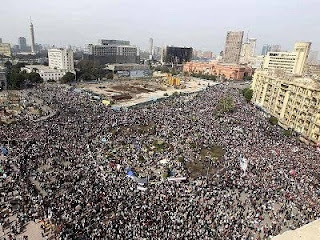 All eyes have been on Egypt for the past days. For me there's an element of déjà vu in what's been happening. I was a naive young student in Cairo in 1950, when revolt against an earlier regime was brewing and was starting to boil over into street riots. In those days the demons were the regime of King Farouk and his perceived puppet-masters the British, who were still in occupation of the Suez Canal zone. But the underlying reasons for the unrest were the familiar ones: poverty, unemployment, corruption. The Muslim Brotherhood was already a movement to be reckoned with. Then too, the head of state was ousted (actually in 1952), and then as now the army took over. But all that's another story. Let's get back to translation. Meedan (Arabic for town square, or meeting place in this context) is a well-organized website that describes itself as "an Arabic-English forum using Machine Translation with expert corrections." However, it also uses direct human translation and crowdsourcing. Quite a hybrid. The members of its panel of regular translators don't give much information about themselves; nevertheless, it's clear that behind the pseudonyms some of them at least are Advanced Native or even Expert Translators. There's Deena, for instance, an "Egyptian Arabic native-speaking trilingual translator"; Keyworth77, "American, native English speaker, and freelance Arabic-English translator"; Wesam, "an Egyptian translator/editor, who loves to translate!! "; Yaserhk, "a TEFL PhD candidate"; Amalnah, "Palestinian translator and writer"; Snoopy, who "graduated in Dec '09 with an MA in Applied Translation Studies"; and Hiba, who declares, "I dream of a wonderful world where people talk together across the language, culture and geography barriers to promote mutual understanding. I aspire to contribute to the realisation of this dream by employing my translation and communication skills on Meedan." It's crowdsourcing that enables Meedan to turn out very fast translations of current material from unconventional sources. Here's an example. And so it goes on for another couple of pages. It intrigued me who Dina elHusseiny might be, since she's not listed among the panel of translators. I think I've found her. Unless I'm much mistaken, she's an Egyptian corporate lawyer, with an address in New York according to Linkedin. She was educated at the School of Law of Cairo University and holds an LL.M. degree from the University of California at Los Angeles, which would explain her high level of bilingualism and hence her translating ability. Cairo has a famous school of translators, Kulliyat Al-Alsun (Faculty of Languages). As an institution for training Professional Expert Translators, it's strictly speaking beyond the scope of this blog; but it has a connection with the revolution of 1952. It was originally founded in 1835 by a pioneer technical translator and educator, Sheikh Rifa'a al-Tahtawi. He'd been trained as a translator in Paris, an indirect beneficiary of Napoleon's 1798 invasion of Egypt. Later he ran foul of the regime of the time, he was banished to Sudan and his school remained closed for most of the ensuing century. Then came 1952, and army officer Gamal Abdel Nasser rose to power. In 1957, Nasser's minister of education re-established Kulliyat Al-Alsun as a dependency of the new Ain Shams University. When I visited it in 1980, it was housed rather shabbily in an old school building in the Zaitoun district; nevertheless, it had a large student body and taught many languages. Since then it's been moved to the main Ain Shams campus. This photo really needs no explanation. It comes from a post on Urblog. This post is a continuation of the two previous ones, which should be read first. 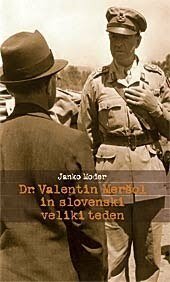 The other Slovenian Native Interpreter with a medical background was Jerzé Jancar. By the time of World War II he was already an outstanding medical student. "During the summer, I travelled a lot, learning about people and life; I cycled along the Dalmatian Coast and in late summer I used to climb, as well as participating in athletics and winter sports. Unfortunately, when I matriculated and started medicine in Ljubljana, the War began in the spring of 1941, and we were occupied by the Italians. They let us study for about two years, and then the university was closed. Unfortunately, I was taken to a concentration camp in Gonars [in Italy] in 1942, and when Italy collapsed in 1943, the Germans occupied us. Once again, we were working with the Underground, helping in hospitals and treating people who had been involved in fighting against the Nazis, the Communists, and the Fascists." When the German front in Yugoslavia collapsed in 1945, the communist Partisans moved in on Ljubljana. Jerzé found himself on the wrong side and fled with his fiancée through the mountains to Viktring, in southern Austria. Viktring, famous for its Cistercian monastery, is just north of the Karawanken mountain chain separating Austria from Slovenia. In a large open field that the British had assigned to them, the Slovenian refugees were gathered in a huge camp. There Jerzé joined up with someone his own age, John Corsellis, the English Quaker who, though he was only 22, already had considerable experience in helping to run refugee camps. "When I arrived at Viktring and asked Major Barre [the Canadian in charge of the camp] how I could best help, he referred me to Dr Meršol [see previous post] and he suggested hygiene. He said I would need an interpreter and he had just the right man, a medical student two years older than me who had organisational experience and while interned in the Italian concentration camp at Gonars had learnt the language; and that was how I got to know Jozé Jancar... A little taller than I was, just as thin and with striking red hair, he continued to interpret for me after we had finished hygiene and moved on to education." "Meršol said, 'Look, let's hope he'll be able to do something. He seems young and energetic'. He was expecting someone with more authority, a major or something, for six thousand people, and was a bit sceptical, and then he realised when we started to march around - and, my God, you were walking fast! And really it was a great success because Meršol was often saying, 'It's unbelievable how much you two did.'" Later Jozé moved from Viktring to Graz, where he played a key role in the opening of a camp for university students and continued to interpret. Then, with the help of John Corsellis, he managed to cross the Dolomites illegally to Padua, and continue his studies there in Italian. After that, his already tumultuous life took another surprising turn. In 1948 he went to England with his wife and there he became at first a nurse for the mentally handicapped. In 1956 he was obtained a post as junior medical officer at Stoke Park Hospital, a famous hospital in Bristol for people with learning difficulties, where he was appointed consultant psychiatrist in 1961. He won the Burden Research Gold Medal and Prize for research in mental handicap in 1971. By the end of his career, he was Dr Jozé Jancar, MB, Bch, BAO, DPM, FRCPsych, Hon FRCPsych, "one of the greatest figures in the field of the care of those with learning disability." He died in 2000. The photograph at the head of this post shows him in later life. "They taught me a lot about psychiatry, particularly in the concentration camp, when men's masks dropped, and you see each man as he really is. There were both University professors and road sweepers who were most helpful and real people; while others, without their masks, weren't really the people we had been seeing before." Hugh Freeman. In conversation with Jozé Jancar. Psychiatric Bulletin 17:323-330, 1993. http://pb.rcpsych.org/cgi/reprint/17/6/323.pdf. This post is a continuation of the previous one, which should be read first. The refugees recognised as their authority the Slovenian National Council. As soon as the refugees' advance guard made contact with the British Army on the Austrian side of the frontier, the Council sent a delegation to treat with them. "Dr. Meršol was with us at the hunting lodge [where some refugees had taken shelter] and some domobranci came to fetch him by order of the Slovenian National Council because they needed a good interpreter for a meeting with the English. With him went our fellow lodger, Father Odilo. "Dr. Valentin Meršol [was the] son of a railway level-crossing keeper, he had attended as the first Rockefeller fellow from Slovenia the prestigious Johns Hopkins Medical School in Baltimore and acquired there fluent English. He was a specialist in infectious diseases and one of Yugoslavia's leading doctors. Short and unimpressive in appearance [see photo], balding, with a round face and rimless glasses, he spoke precisely and dealt with British officialdom with infinite patience and a tentative smile... Father Odilo Hajnsek was a well-known Franciscan friar who also spoke English. "We told him a great number of Slovenian civilians and military had fled to Carinthia, because of communists and the atrocities committed by them during the war, and in their name we were asking to be put under the British protection and given food and shelter and the means to survive. Major Johnson told us the military were of no concern of his, but Military Government would gladly receive the civilian refugees and help them." So once again a fluent bilingual was drawn fortuitously into the double role of interpreter and of advocate for one side in the encounter.The Slovenian negotiators, helped by Dr. Meršol and others, including John Corsellis, eventually succeeded in saving most of the civilians by keeping them under British protection, but not the domobranci. The latter, who had been disarmed by the British, were delivered up to their fate at the hands of the partisans. John Corsellis, Slovenian Phoenix. See previous post. Image: Front cover from Moder Janko, Valentin Meršol in slovenski veliki teden, Celjska Mohorjeva Družba, 2005. Among the concentration camp prisoners who built the Ljubelj (aka Loibl) tunnel, through which many of the refugees scrambled into Austria, there happened to be a group of French deportees. The experiences of one of them were told in a memorable book in French, Le Tunnel, by André Lacaze (Julliard, 1978). For readers' impressions of it, see http://www.amazon.fr/tunnel-Andre-Lacaze/dp/B0000DXTHB. There's also an English translation: The Tunnel at Loibl Pass, translated by Julian Evans and Anne Gray, Hamish Hamilton, 1980.